LA Comedy Live is thrilled to announce RuPaul’s Drag Race Miss Congeniality and All Stars Season 2 Finalist, KATYA, is making her debut in Singapore with her brand new show, “Help Me I’m Dying” on May 12, 2019, at Shine Auditorium! Katya Zamolodchikova, drag persona of Brian Joseph McCook, is an established drag queen, actor, and comedian. 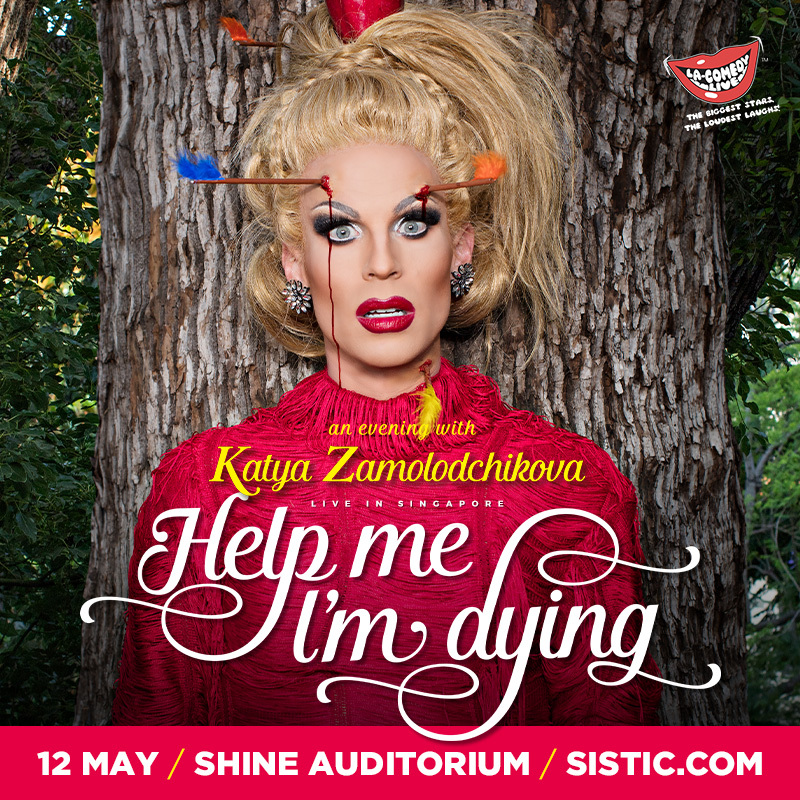 Katya is best known for her appearances as a contestant on RuPaul’s Drag Race Season 7 and RuPaul’s Drag Race: All Stars Season 2. Katya finished in fifth place on Season 7 of Drag Race. Despite not having won the crown, she was a fan favourite and went on to win the title of Miss Congeniality. In All Stars Season 2 of Drag Race, she placed as a runner-up to winner Alaska. You definitely don’t wanna miss this show! Tickets go on sale at 10am on Mar 25, 2019, via the official ticketing agent SISTIC, at www.sistic.com.sg and via the SISTIC Hotline (65) 6348-5555 and at all SISTIC Authorised Agents.